Touch wood, we will be in the catchment areas for both Henry Cavendish and Rutherford House schools. Finding it tough to choose between them as they are both great but very different. Have any current parents at either school got any advice? Thanks! Rutherford House is newer but Henry Cavendish has more space (both indoor and outdoor) and I always get nervous when a school is on such a busy road. 2) Rutherford House is a little "pushier" than Henry Cav. I think some of the parents wish it were a prep school and behave accordingly. There was quite a punchy thread on here a while ago (can't find it right now) complaining about parents attitudes. Personally I'd choose Rutherford House but I'd make sure there was enough parking for the 4x4's outside my house if I hosted a coffee morning! Does HC have a uniform? If you are in the catchment for Rutherford, you would also get into Ravenstone which is worth a look. Great results, fantastic outside space, lovely parent community and amazing teaching (the maths and Early Years specialists are involved in lots of training for other schools across the borough). If you’re near enough to RH, you should definitely give Ravenstone a look too. Offers all the ambition and standards of Rutherford (v hot on teaching quality: the maths lead does “excellence” training for others across Wandsworth, and the young superhead is seriously impressive) but with a lovely relaxed culture where kids love learning for its own sake, not to tick CV boxes or jump through hoops. We looked hard at RH and have friends with very happy kids there. But in the end we decided the whole pretend-prep-school thing wasn’t for us. Good luck, and don’t stress too much about this: as others have said, it’s a great area where all the options are good. 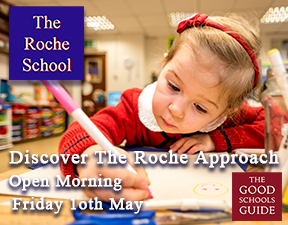 Ravenstone is a really exceptional school with impressive academic results and a warm, friendly community. Our son is genuinely excited about going to school every day, which is pretty incredible. He has progressed from being unable to read when he joined Reception to reading Gold Band books (Oxford Level: 9) within 15 months - and loving them! * Friday morning assembly watching children as young as 4 years old confidently present to the whole school (and parents) every week. * The kindness the children and staff show to one another. * Hearing the children quote the school values to each other and self govern their behaviour to meet the high expectations they set themselves. * The friends I’ve made among parents from all backgrounds and cultures - designers, charity leaders, finance specialists, CEOs, medical professionals, academics, and many, many more from all nationalities. * The roles children are encouraged to apply for to develop their skills - Head boy & Girl, school journalist, chicken keeper, gardener etc. * The emphasis on sport, dance and wellbeing (my son does yoga or mindfulness most days, plus PE, dance and music every week). * The great, and growing, range of clubs. * The exciting new uniform in the pipeline for September! So many of the schools in Balham are good, we really are spoilt for choice, but Ravenstone is something very special. Jellie don't worry about not getting a reply from the office. 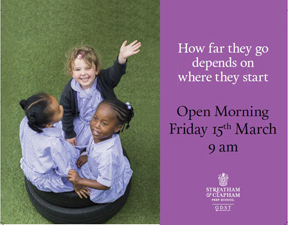 If you have emailed or called to say which open morning/afternoon you want to go along to then that's all that is needed. I never got a reply when going through the same thing last year but they had my name when I arrived. We've been very pleased with RHS so far but I can't make any comparison to HC as for us it was too far to bother considering. The teaching has been great and I think there is an enormous amount to keep the children engaged and enjoying themselves while they learn (forest school, trips, a huge number of clubs - anything from chess to eco warriors to football, the list goes on). I know it does seem to have a reputation for being a bit prep-school-lite but I suspect a lot of that is down to outsiders' view of the uniform. The Xmas fair is this Saturday which may be a good opportunity to see more of the school and speak to some parents. Best of luck with your decision! Thanks everyone for the comments! Any Henry Cavendish parents want to weigh in? I went to Ravenstone today and it also seems like a great school - we have really good options around here. Rutherford House emailed me yesterday (a month after I emailed them) to say they have open mornings this Thursday and next Thursday. Probably best to call them to get a spot. We really love RHS! It is a new school and is growing, but we can see that some of the initial teething problems have been addressed and rectified, and is going from strength to strength. The ethos and educational expectation of the pupils progress and learning is similar to a private school but not coupled with the snotty attitude of some indies. RHS is diverse and inclusive. The links with the local community is great and the teaching staff are committed and specialised in their fields. We love that there are such a range of extra curricular activities. This term alone there were 58 clubs for all year groups including arts, music, languages and STEM subjects. We don't know which way DC will lean...academic, arty, sporty etc RHS gives DC a great academic foundation with the option to try before we buy in terms of enrichment activities. DC loves going to school, the trips and guests coming into the school enhance the educational opportunities for the children and keeps them engaged. Forest school is exciting and interesting.... DC has really thrived at RHS. Come along to our school fair this Saturday 8th December from 12-3pm, ask parents at drop off/pick up or even pop into one of the cafes round the corner from the school and have a chat to some parents. We are a lovely bunch. Oh and there are many open days/school tours that you can also do to get a flavour of the school, these are Thursday 6th and 13th December 2018, and Thursday 10th January 2019. I am a mother to a 6 year old in year 1 at Rutherford House School, i would have to say after being here over a year, Rutherford House School is exceptional. My son more importantly absolutely loves being at school, his teachers and especially the head teacher. The school provides the most in depth and encouraging learning experience. They are constantly improving provisions by providing over 70 after school clubs, apps for children to learn at home and music provision has grown dramatically. The school is very diverse with opportunities to learn about some much and more. 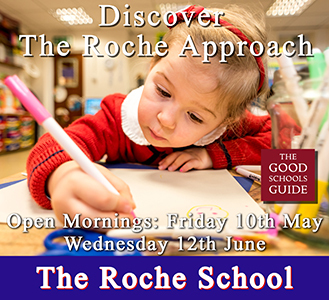 Its very easy to listen to parents points of view, especially the negative comments, but i think you need to come to the school and attend an open event and see the children and how happy they are. The teachers are so amazing, i do not know any other school that knows every child's name in the whole school. If you want to know more about Rutherford House School please check the school website for details of the next open event and maybe attend the Christmas Fair this Saturday 8th December at 12pm. The ethos and educational expectation of the pupils progress and learning is similar to a private school. I find this comment quite frankly offensive; our local area is full of amazing maintained schools where pupils' progress and learning attitude are excellent, expectations are high and staff are far from having a relaxed attitude towards these aspects as you seem to imply. Manta - I have no direct experience of either school, but I know several happy families at Henry Cavendish (strange that no HC parents got back to you!). I am not sure why you would find this statement offensive? As I was definitely not implying that the other schools mentioned in the post are sub standard. It’s personal experience. Which the OP asked for. We can’t speak to the Henry Cavendish or Ravenstone experience as our DC hasn’t and doesn’t attend either school. It really isn’t a X school versus Y situation, because in Balham we are fortunate to have many good schools to choose from. It’s really just about what Manta is looking for in a school and which type of school will suit his/her child and their family. I find most people who complain about snotty attitudes at indy schools are, in reality, revealing more about their own attitudes than the school they are attacking. The fact that this is coupled with a positive reference to the indy school (all the best bits without the attitudes) is even more revealing!